Getting a quote for a new website can be quite daunting. It’s hard to know what a good price is, whether your needs can be met and if you can find someone you can trust. Here are a few quick do’s and don’ts’ to help you get started. Find a website provider via Google. If YOU can find THEM via searching Google, they will know how to get people to find you through Google. Is the quality of their work at the level of quality you desire for your own website? Ask for Return on Investment (ROI) stats or testimonies from the company’s clients. If possible, try and get in direct contact with their clients. This is an absolute must. If a website provider offers to give you a quote without asking you to fill out a website brief… RUN FOR THE HILLS! It means they are not engaging you seriously. Any decent website provider will ask you to provide a website brief before offering you a quote. 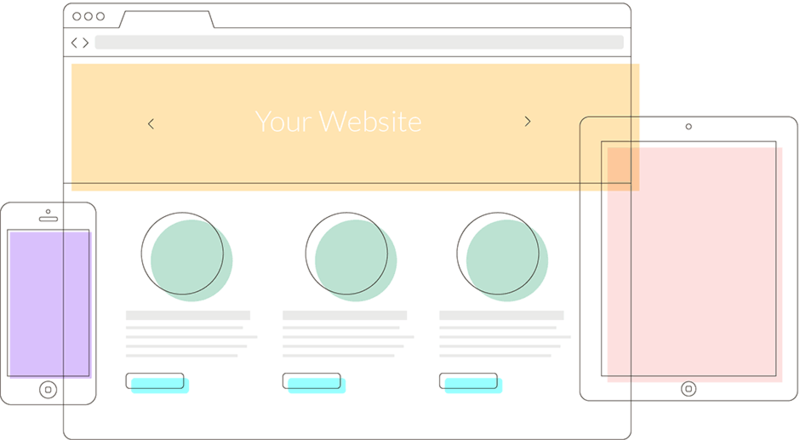 The questions below will help define your expectations and goals of your site, and give providers the necessary information to provide an appropriate website quote. What is the main purpose and function of your new website? What are the practical, measurable goals you want your website to achieve? What ‘action’ should a visitor be able to take when visiting your site? E.g. Make a purchase, become a member, search for information, etc. Will your website require constant edits or updates? Do you require a blog or foresee constant changes being required on the website? This has a huge impact on the cost of your website. What are your requirements for your website displaying on alternative devices such as smart phones and tablets, etc. A website optimised for Tablets and Smartphones costs about 25% more than a traditional desktop website. That said, internet and tablet web browsing is increasing at phenomenal rates. Do you require a blog or foresee constant changes being required on the website? This has a huge impact on the cost of your website. Do you have any website examples of design or functionality that you would like for your site? What website or company inspires you or does what yours should do? Providing a website provider with a really close website example can help tremendously in quoting accurately. Make sure the portfolio of the provider matches the quality level of the example you provide. What are your expectations on getting people to view your site through Google and other search engines? SEO refers to Search Engine Optimisation. Having a great website does not automatically mean your website will rank high on Google. Make sure the provider is aware of your needs regarding the Google ranking of your site. Will you require photographic services and or will you require the purchase of online stock images? If you require stock images, how many do you require for the website? Will the same images be required for use in printed advertising material such as a brochure? Or, will you be providing all imagery for the website? Will your website require any custom functionality? Ie. Calculator, Social Media Module, user log in, blog, etc. You can download a Microsoft Word template with the above mentioned questions here.